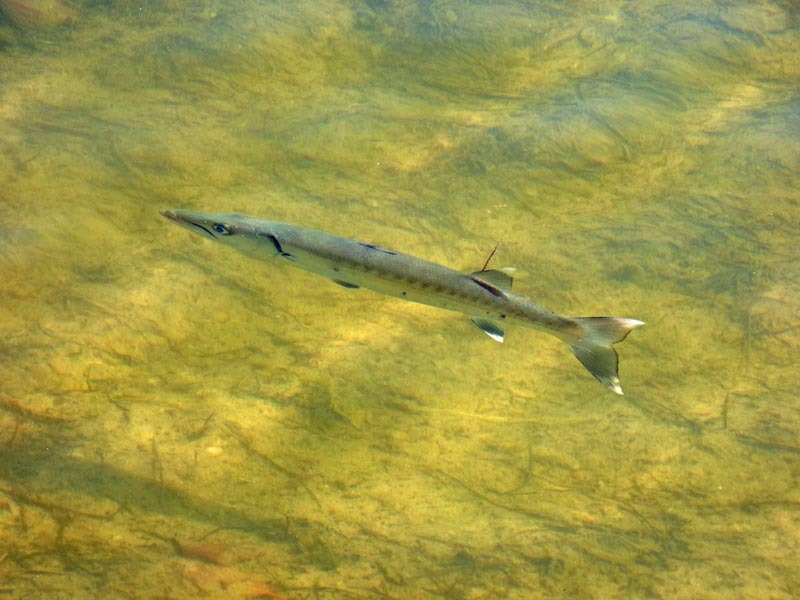 This barracuda swam by as we were sitting by the canal entrance to the RV Park. I have a lot of fish pictures, but this one had nice light on it. It was a low tide so he was close to the surface. This one was pretty small and not that scary. I wouldn’t stick my finger in his mouth though.